On Thursday December 14, we’re delighted to be welcoming Prof Miles Orvell from Temple University. 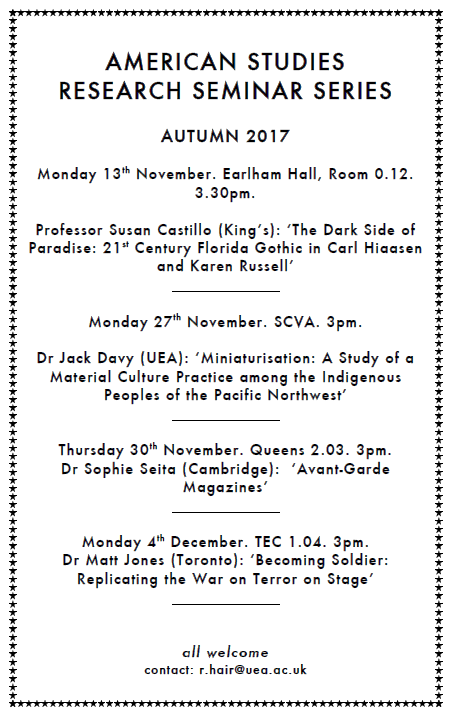 He’ll be talking about: TOO BEAUTIFUL TO BE WRONG: PHOTOGRAPHY, SOCIAL JUSTICE, AND ENVIRONMENTAL ETHICS SCVA Lecture Theatre, 1-2pm, 14.12.17. All welcome! #americanstudies #photography Image: Walker Evans, 1928-30. 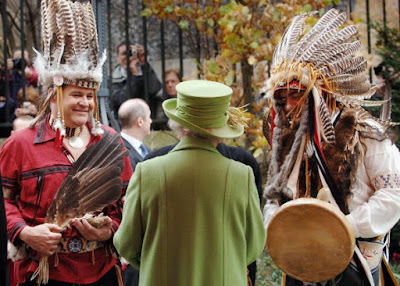 Queen Elizabeth II meets members of the Mohegan tribe at Southwark Cathedral in London on November 22, 2006. UEA and the University of Kent have just begun a collaborative three-year research project that will provide a comprehensive history of Native North Americans in Britain. And the research team needs your help! A dynamic crowdsourcing campaign will uncover stories and material objects retained by private individuals or by descendant communities of those Native North Americans who travelled to Britain or who made their homes here. If you think you may have information of interest, please email: beyondthespectacle@kent.ac.uk. Led by Professor Jacqueline Fear-Segal (American Studies, UEA) and David Stirrup (Kent) this study will look beyond the traditional focus on metropolitan centres such as London and instead examine how Native visitors travelled throughout Britain and established mutual relationships, economic exchanges, and cultural connections across the whole country.